Arrive at Singapore. 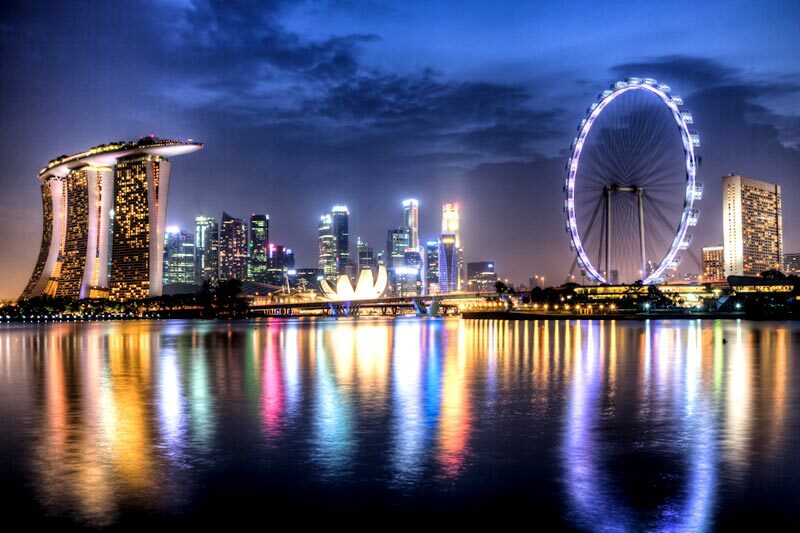 After breakfast will proceed for City tour get ready to experience the image metropolis of Singapore. Indian dinner will be served at Indian Restaurant. Jurong Bird Park / Night Safari. Overnight at the Hotel. After breakfast, proceed for City Tour. Later after noon transfer to the Sentosa Island. There you will enjoy the, under water World , Spectacular Musical song of the Sea, Dolphin Lagoon etc. After Buffet Breakfast proceed to Newly open Universal Studio. Dinner in Indian restaurant overnight in stay at Singapore. 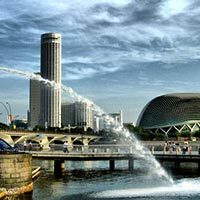 After Breakfast, check out from Singapore and proceed for Malaysia by coach arrive in Kuala Lumpur. Transfer to Genting Highlands mountain resort will take one and half hours. Enjoy the breathtaking scenery and beautiful landscapes. Check in hotel by 1500 hrs. Dinner will be served at Indian Restaurant. After breakfast, get ready to set out and explore more of this wonderful place. Enter a World of fantasy and adventure at the Genting theme park. Enjoy unlimited rides, games,shows, roller coaster mini trains, boating on the lake etc. Indian lunch in Genting. Transfer to Kuala Lumpur. Dinner will be served at Indian Restaurant. Overnight in Kuala Lumpur Hotel. 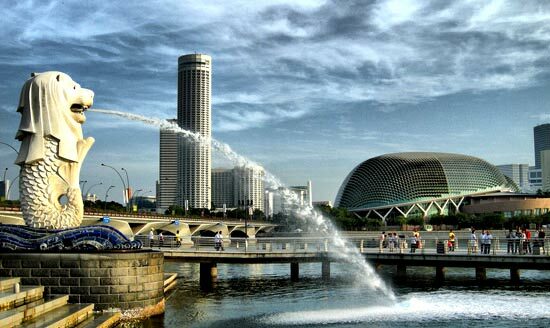 After taking breakfast at your hotel, we proceed on a Panoramic city tour. 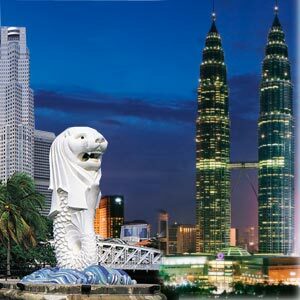 This tour offers you an insight into the old and new,starting from where the city begin,at the confluence of two rivers, to the King's Palace, a symbol of Malaysian Sovereignty; the National Monument and the Superb Buildings at the Independence square as well as the Moorish style railway station. While observing the contrast between historical Moorish architecture and Modern Skyscrapers, you will not fail to notice the abundant greenery in the city, particularly at the Lake Garden. A photo stop at the magnificent Petronas Twin Towers will also be included. For a quick overview of the city. O/N stay at the Hotel. After Breakfast, check out from hotel and transfer to the Airport to Board the flight for India. Arrival in India with Glorious memories tour end.